Before you go off on your weekly grocery shopping trip, you just might want to learn how you can save some serious cash. With Singapore topping the charts as the most expensive city in the world, it’s no wonder everyone is looking for that extra something that would help in cutting down their spending. If you have a family, groceries are one of your biggest expenditures. We’re talking about food, toiletries, and cleaning products for the household… Those can easily add up to hundreds of dollars per trip. And because you can’t go without visiting the supermarket every once in a while--unless you eat out all the time--being able to save money on grocery shopping would be very, very ideal. How many times have you been in the supermarket and forgot if you still have butter at home or not? And to play it safe, you buy a block of butter only to reach home and realise there are already two in the fridge waiting to expire. Before you make a trip to the supermarket, look at your pantry and make a shopping list of what you’re lacking. 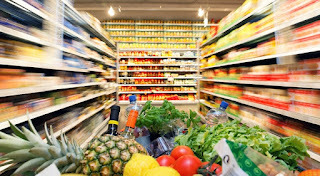 Take inventory of what you need to stock up--only then should you visit your neighbourhood supermarket. Supermarkets are designed to make you purchase more than you should, with their bright yellow signs that show buy-two-for-a-cheaper-price promotions. Even how candies and soft drinks are placed right near the counter is just another way to get you to buy more. If you haven’t gotten much will-power, we’ll suggest that you avoid walking down the aisles of a supermarket altogether and buy what you need through e-commerce sites like Redmart. And as a bonus, you don’t have to lug your groceries home--instead, you’ll have them delivered to your doorstep. What happens if you stick to your shopping list--maybe even order your groceries online--only to find out that your spouse or family member has bought another dozen eggs and a loaf of bread because they didn’t know you went grocery shopping? Make sure you communicate clearly with the people you live with whose turn it is to buy groceries and what to add to the shopping list. Whether you have a big family or living by yourself, groceries can make a huge dent in your wallet. And seeing as they are essentials, you can’t exactly cut down so much on costs. But you can get cash rebates. Cashback credit cards such as the American Express True Cashback Card give you cash rebates that you can offset in your next credit card bill. With this credit card, you will get 1.5% cashback on any purchases with no minimum spend and no cap on cash rebates (and if you’re a first time customer, you’ll get 5% cashback for the first three months). How much can you save in a year with cashback credit cards? Don’t apply for the first cashback credit card you see. If you live alone or have a smaller family and spend $100 or less weekly, the Amex True Cashback Card gives you the highest cash rebates in a year. But if you have a lot more mouths to feed, you’ll want to be looking at the OCBC 365 Credit Card. Always compare credit cards in Singapore before you apply for them. 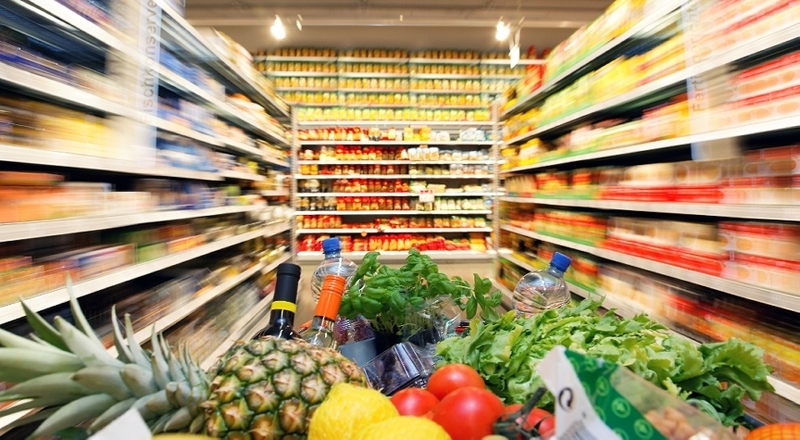 Wet markets offer almost everything supermarkets do, but at a much lower price. From meat, poultry and fish to herbs, spices and grains, you can get your weekly grocery shopping done here for a cheaper price. Most wet market are only open until noon, so get there as early as possible to have your pick of the lot. For more money hacks, follow Singsaver.com.sg on Facebook and Twitter.